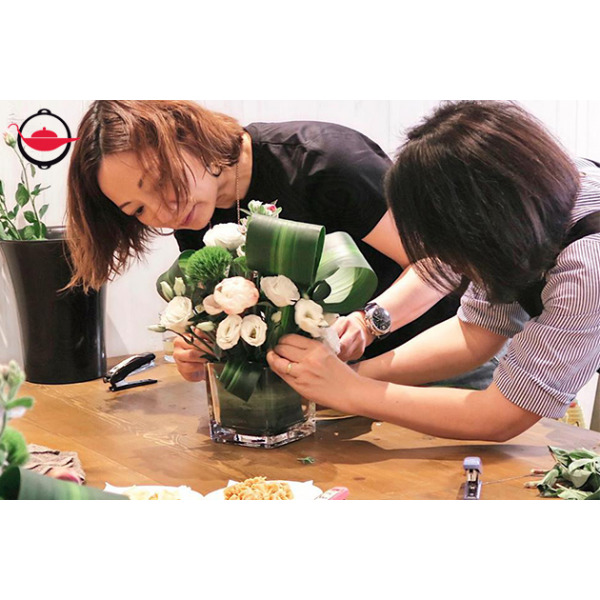 For those who have experience with flower arranging and want to learn advanced new designs, this experience is perfect for you. Participants can learn contemporary minimal designs or even freehand arrangements. Bring the beautiful flower arrangements home afterwards! 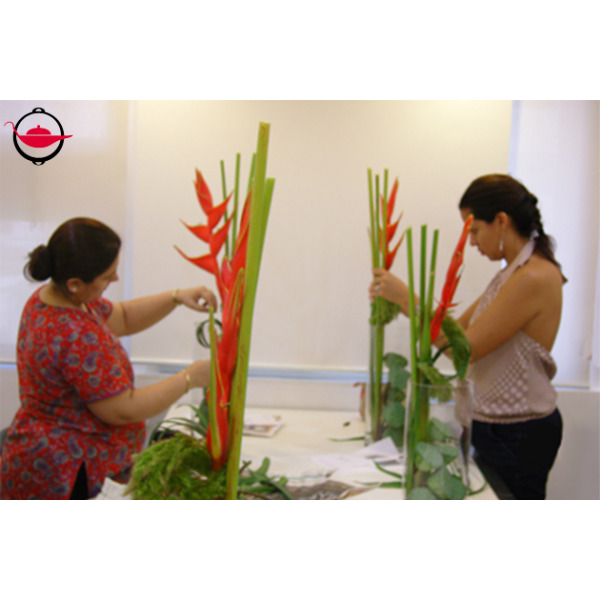 This experience introduces participants to contemporary and trendy designs in flower arranging. 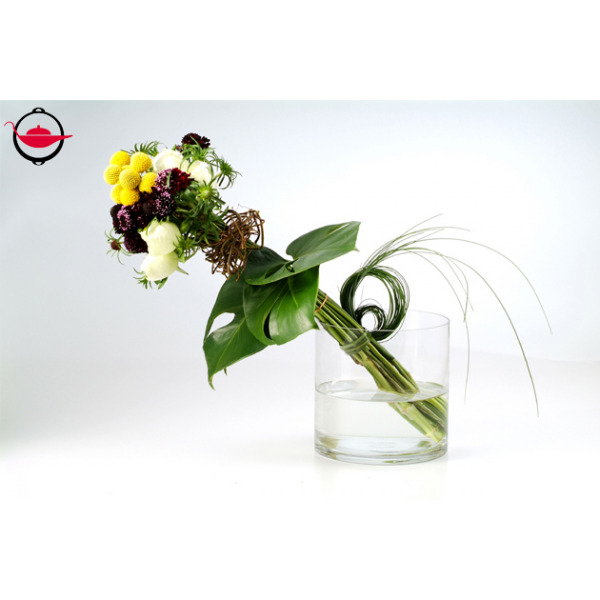 Designed for those who have experience with flower arranging and want to learn advanced new designs, whether it is contemporary minimal design or freehand arrangements. This is a great experience for the ladies who can even bring home their beautiful flower arrangements. Participants can learn the magical hands-on techniques to arrange flowers in any type of container without using an oasis. 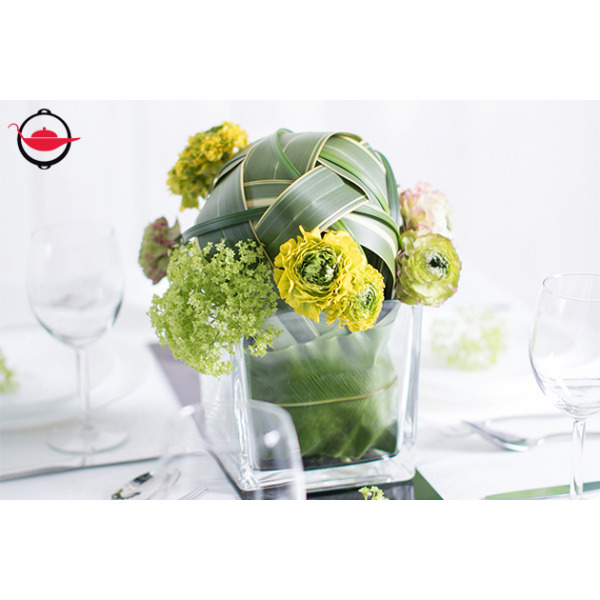 Try to arrange flowers casually, yet display them creatively in a freestyle way! Learn the simple yet impressive French designs of Nufleur™. This style is a radical change from the classics and results in minimal and striking designs. 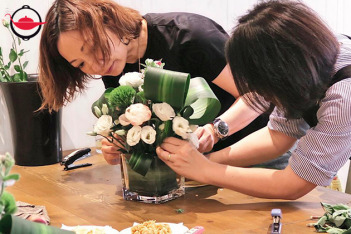 The workshop focuses on vase designs where flowers and foliage can be fixed in any kind of container without the need for an oasis. Create a bouquet with the striking design concepts of Nufleur™. The focus of this experience is creativity, elegance and tranquillity. Participants will be introduced to unusual techniques such as baling, tussy mussy, leafworking, bundling, plaiting, banding, collaring, clutching and hedging. This experience lasts for 1 hour and is available on all days except Sundays. Bookings are subject to availability. This experience is for those who have some experience with floral arrangements and want to learn advanced new techniques. 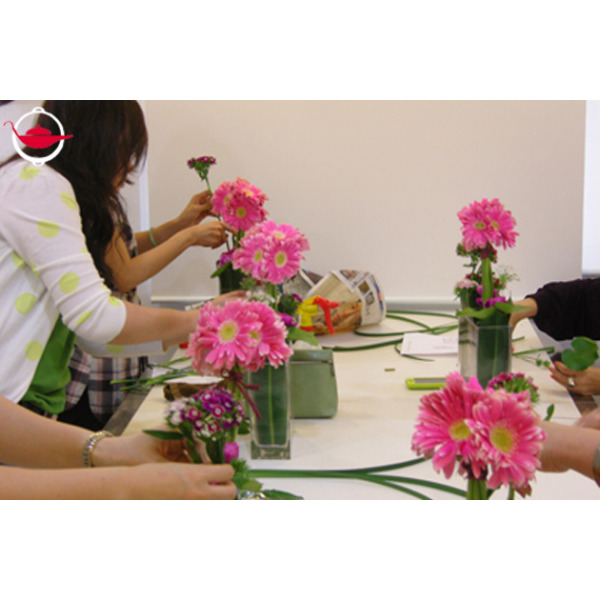 Beginners are recommended to try Flower Arranging Workshop for Beginners. Participants without freehand vase arrangement experience are recommended to try 1) Freehand Vase Arrangement Techniques before joining 2) Nufleur™ Contemporary Minimal Freehand Vase Designs. Children above the age of 6 are welcome to participate.